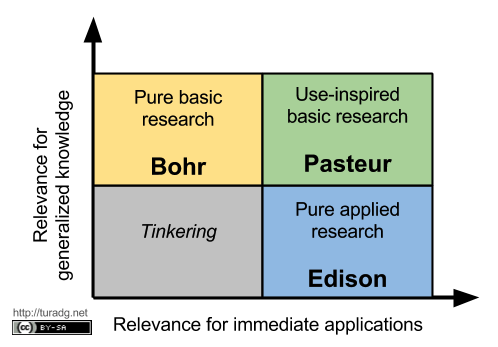 In Edison’s case the basic science just wasn’t there. We didn’t understand a lot of other things his inventions depended on until 20 years later. Oddly enough, that doesn’t seem to be what Whitehurst is arguing. He seems to be saying that we understand well enough, but that the real world is too messy for proper implementation of those ideas! Instead, we should concentrate on doing the things that seem to work well (lab results) but that we don’t necessarily have a theoretical understanding of. Odd argument, but maybe it’s a good policy for the current situation. It obviously comes with built-in concerns, as Tesla pointed out.